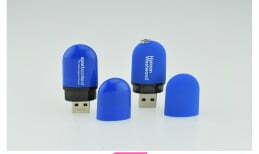 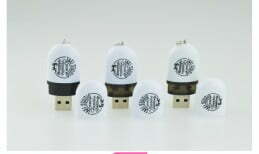 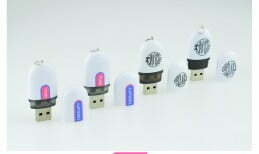 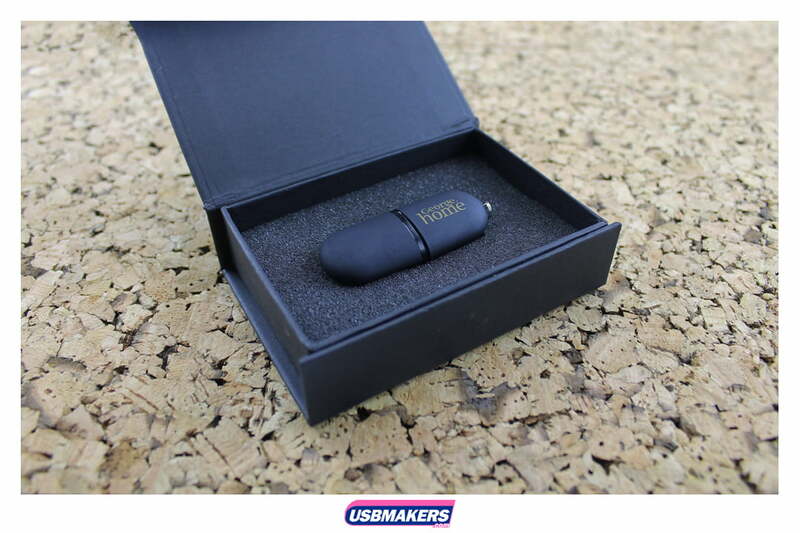 The Flat Pod USB Drive falls into our Group A Style USB Drives which are our most preferred and reasonable drives. 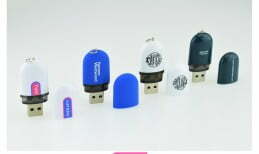 Technically, the Flat Pod USB Drive is similar to the USB Pod except that it has a flat surface. 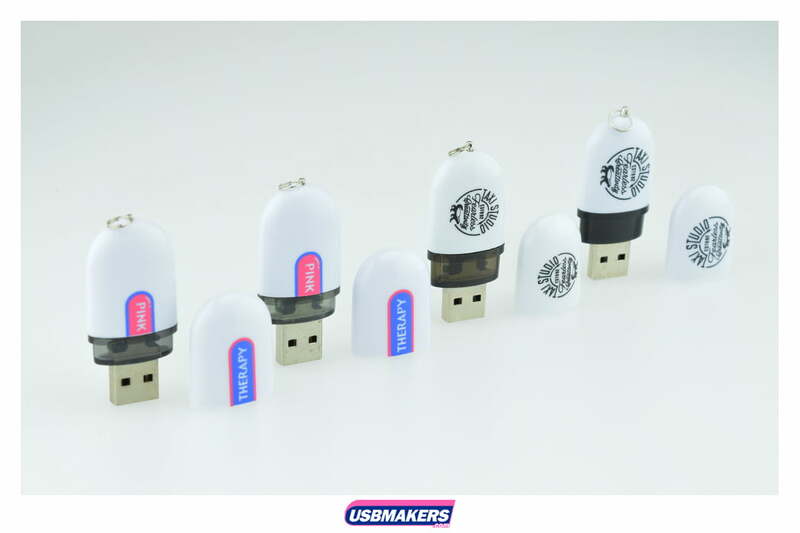 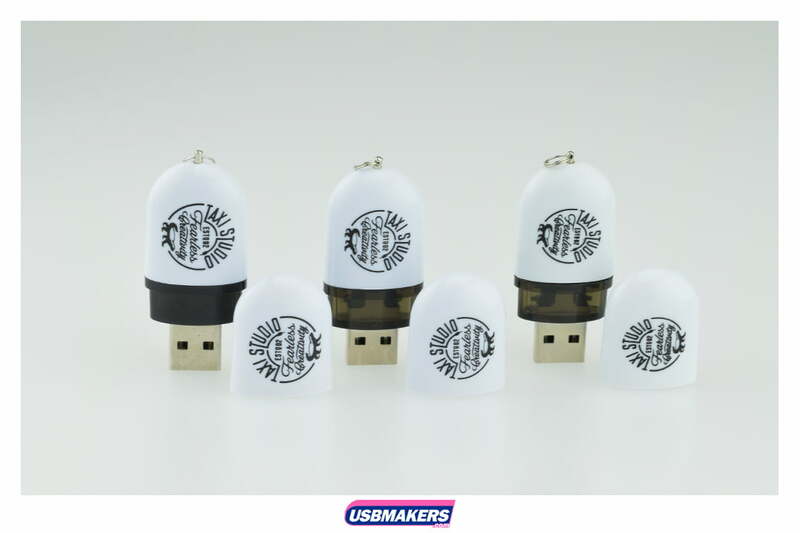 Contrastingly the USB Pod is round throughout its whole dimension which does restrict the printing of particular logos and their positioning. There are eight standard colors available for the Flat Pod USB Drive shell. 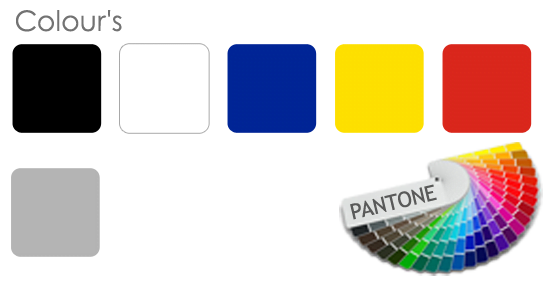 However, Pantone matching is also an option open to all companies. 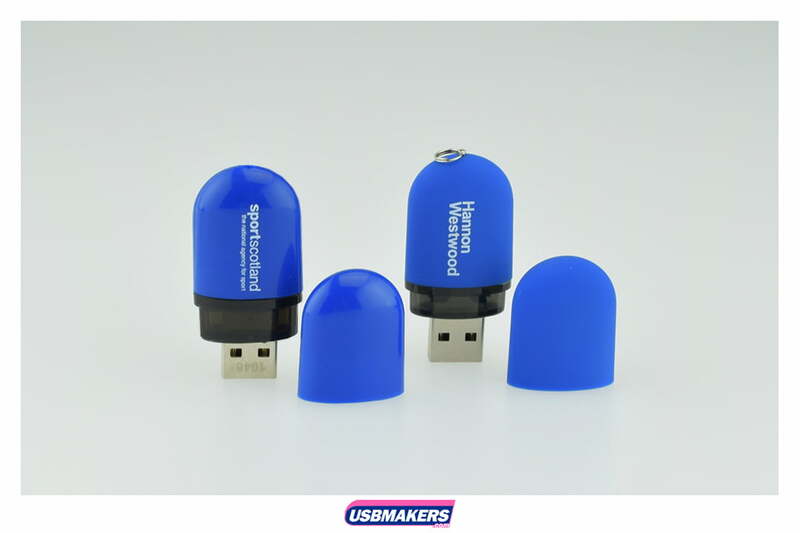 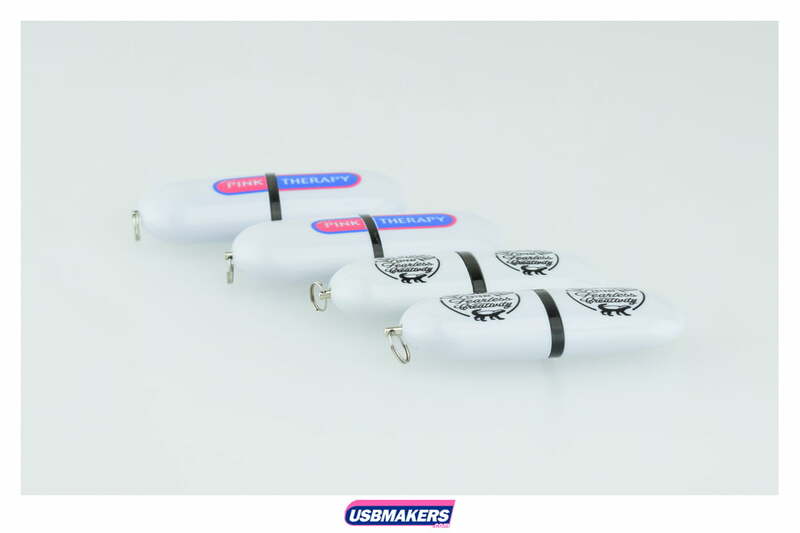 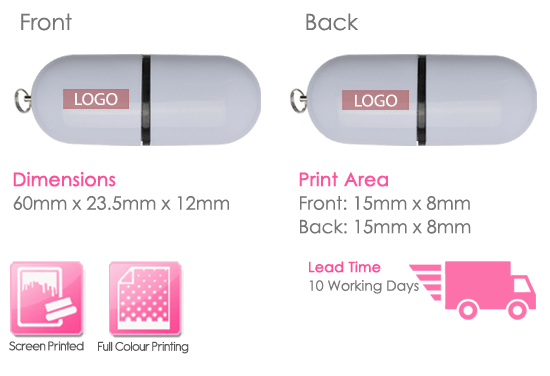 One to four spot (solid) colour printing can only be used on the Flat Pod USB Drive. 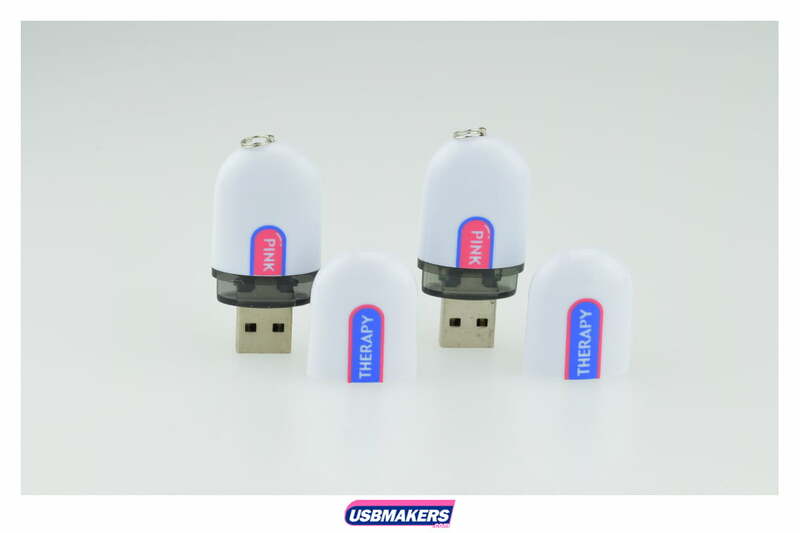 Sequentially, the minimum order quantity for the Flat Pod USB Drive is just fifty units – please note that there is no limit to quantities above this amount. 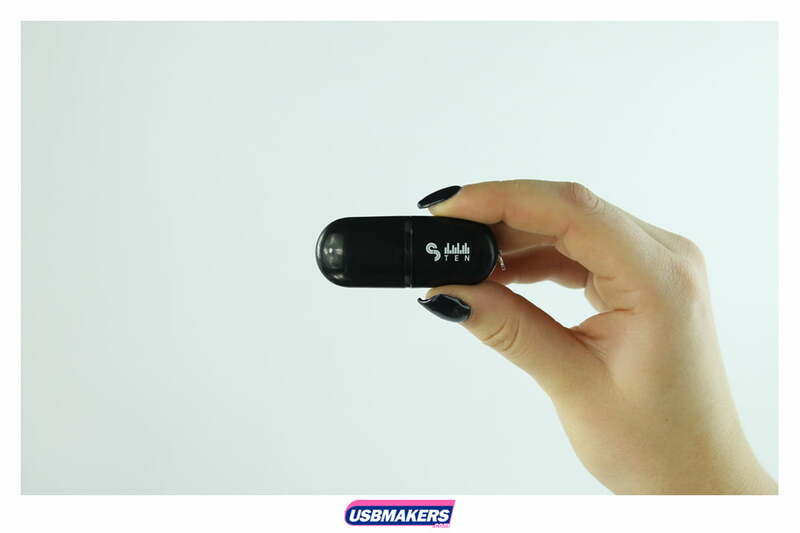 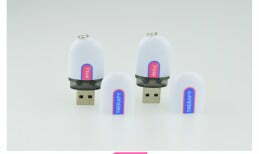 Data upload is also available on the Flat Pod USB Drive, which is free up to 400Mb. 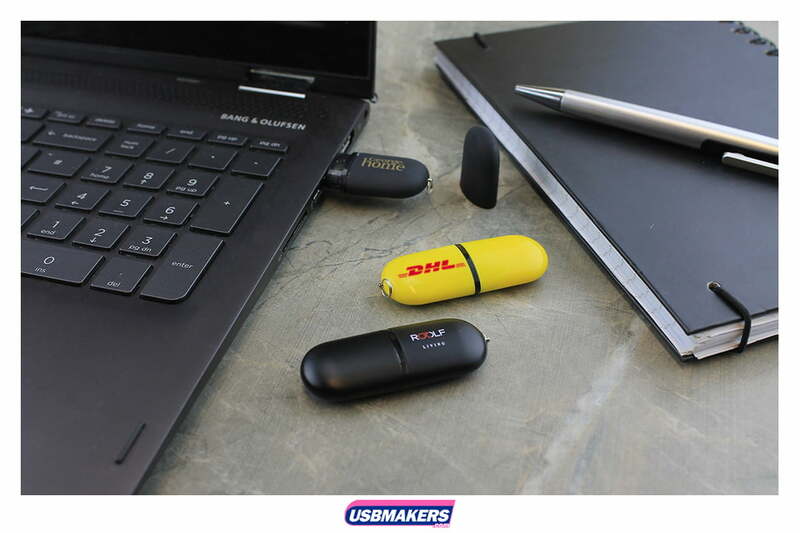 Data locking, unlocking and an auto-run feature is also available to all companies.